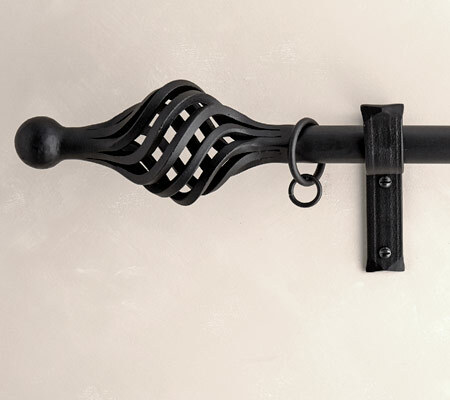 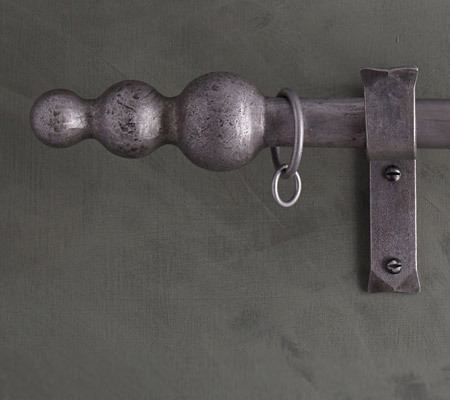 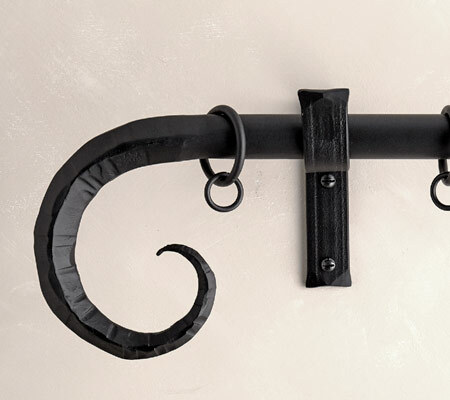 Our expertise and experience in blacksmithing makes us your essential destination for finely crafted, wrought iron curtain poles. 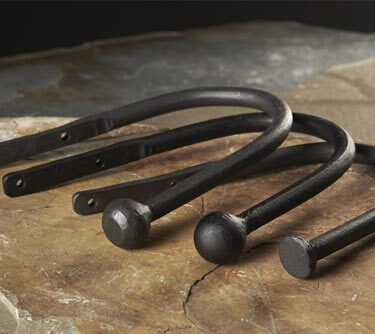 All of our poles, rods and finials are made here in our forge in Suffolk using traditional skills. 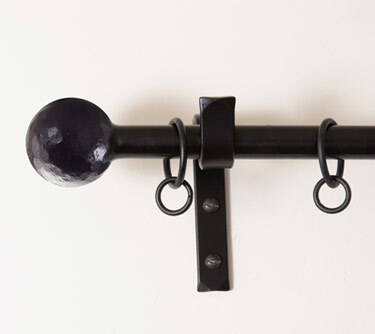 We use 20mm round bars for the solid iron curtain poles and 25mm for the hollow poles. 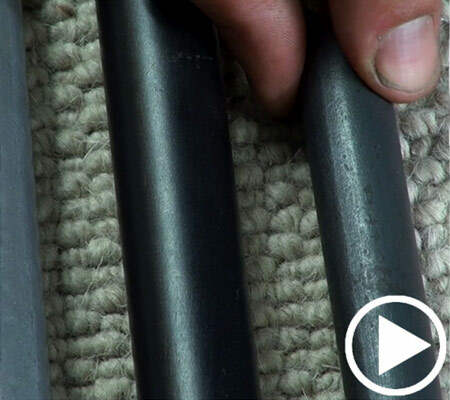 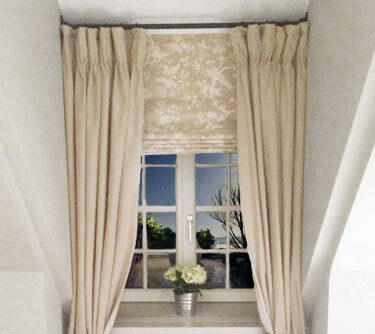 They'll look great for many years in your home and we offer a lifetime guarantee on all of our products. 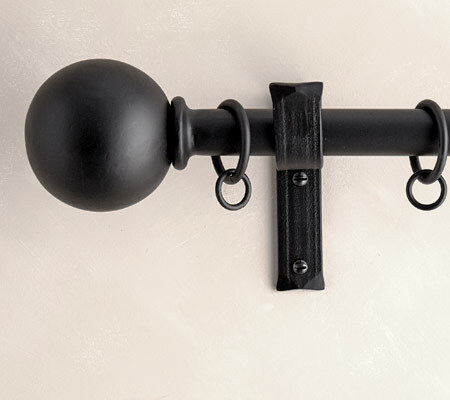 You can choose from a variety of curtain pole finials also all hand forged. 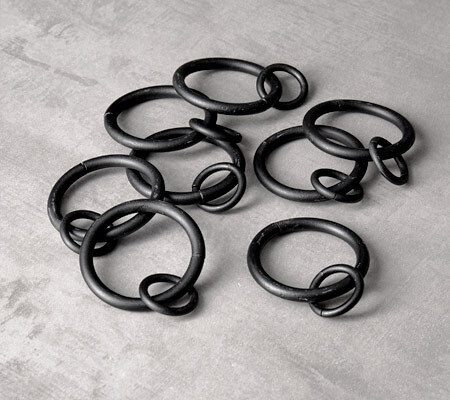 Our curtain rings are super strong and will not break. 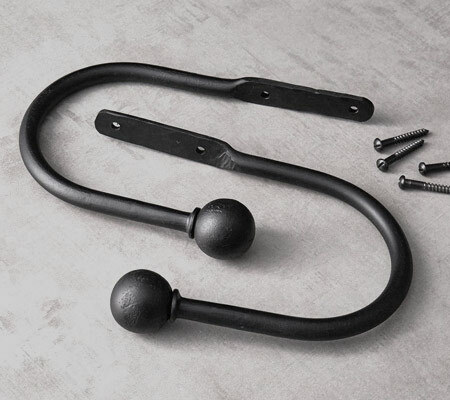 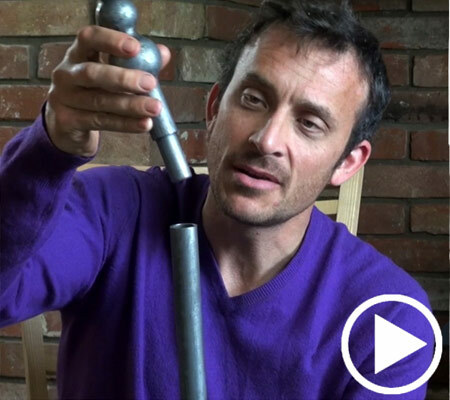 We offer 2 different types of finish on the 20mm curtain poles - matt black and natural beeswax. 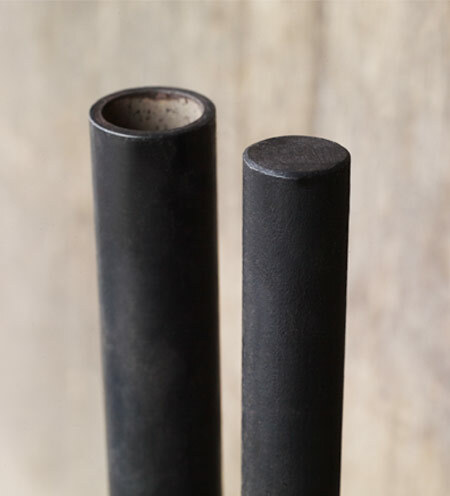 There is also a burnished wax finish for the 25mm poles, one that gives them a silvery sheen. 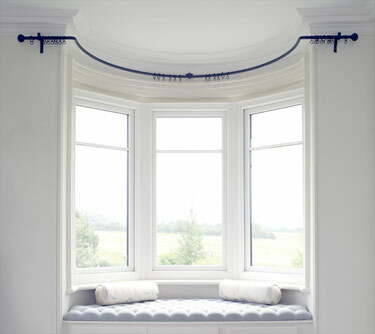 All three finishes are traditional and look stunning. 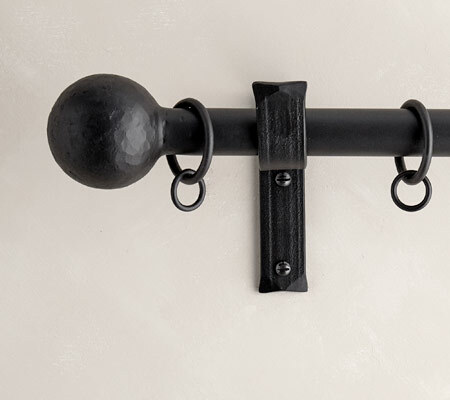 Beeswax curtain poles will look particularly good if you have exposed timbers or a country cottage. 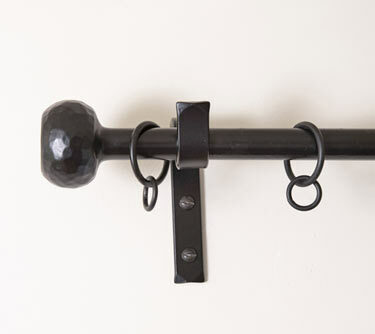 Matt black curtain poles look great in almost any setting. 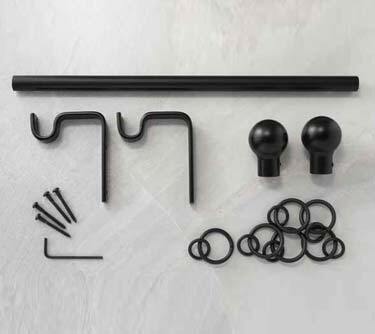 Please take a look at our customer feedback page and take a look at the hundreds of kind emails we have received, along with photos of curtain poles, rods, pole brackets and finials. 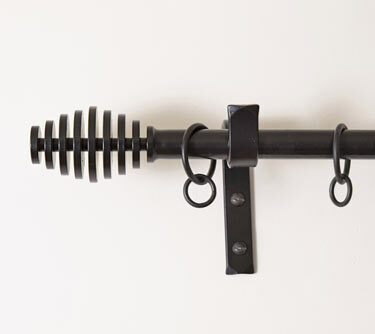 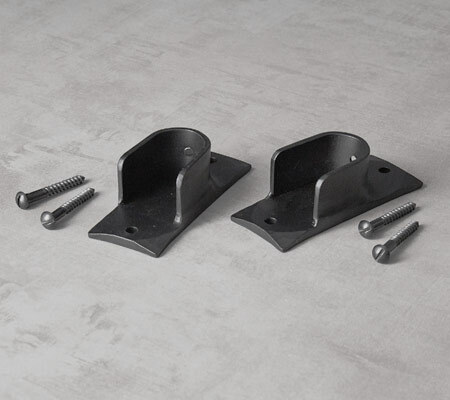 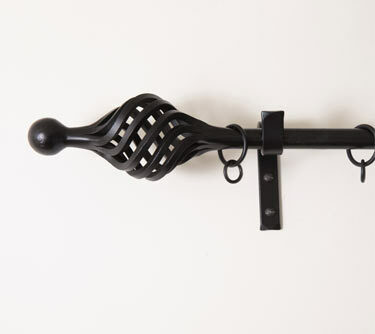 If you have a tricky space, we can make you a bespoke curtain pole and bespoke brackets. 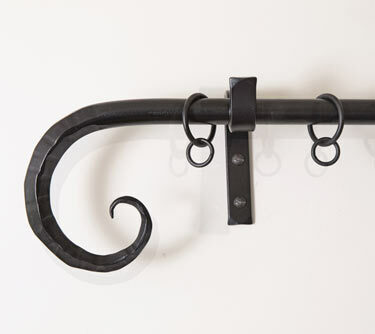 If it's made out of metal we can normally create it - using traditional skills of course. 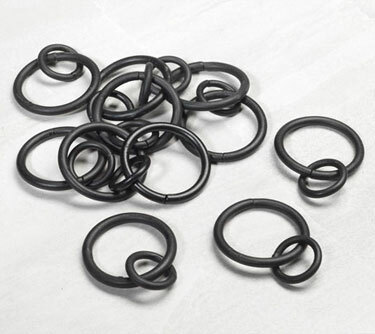 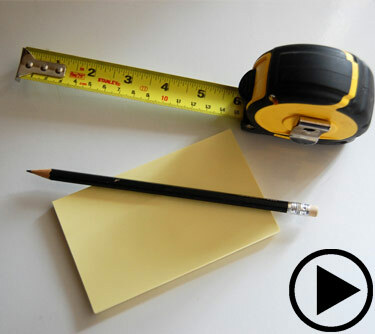 Please contact us with your requirements and one of our experts will be very pleased to help. 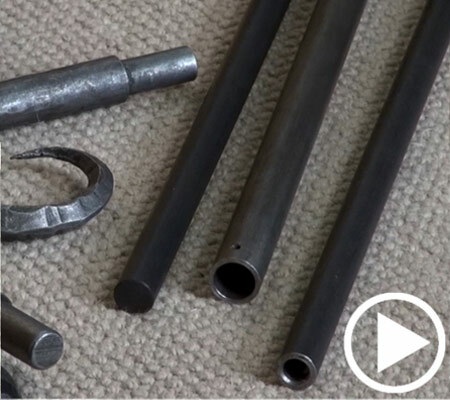 "Dress your windows with sustainable poles.. Best of British... these curtain poles last a lifetime and help support English cottage industries."